Located in the Printworks, Escape Reality has opened with six rooms of varying difficulty. 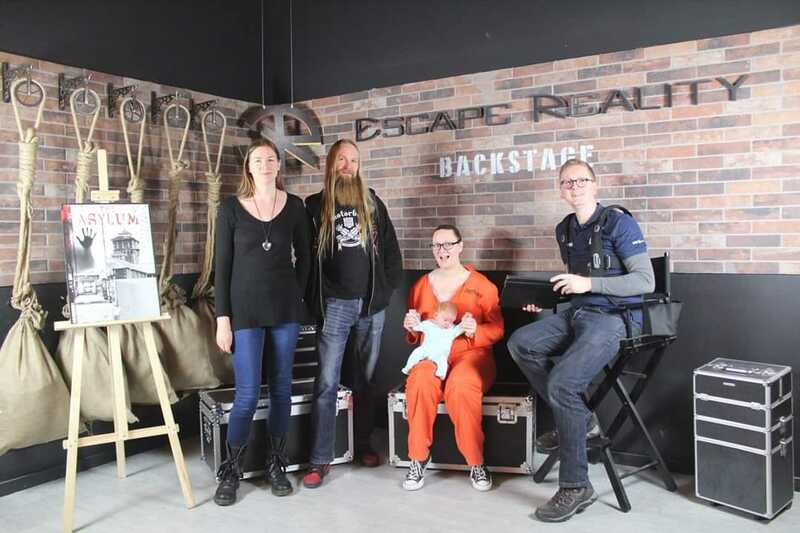 Part of a worldwide franchise, Escape Reality is a growing organisation in the UK and has also taken over the previously branded Escape Rooms site we had reviewed in Preston. The waiting area is definitely one of the nicest we’ve seen, with a large comfy seating area and bar, it was obvious that Escape Reality had a high standard of aesthetics, something many of the newer companies have excelled at. 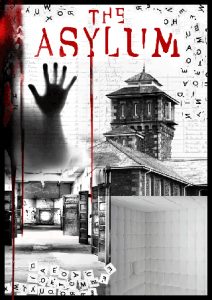 We had chosen to play Asylum, rated 4 out of 5 stars on difficulty, it was one of the few games on offer with a theme that completely differed to anything we had played before. The introduction to the game system was great, and the clue system was something we hadn’t seen before. Rather than the traditional TV screen displaying your time and any clues the game operator provides, we were given a tablet to take in with us. This not only tracked our remaining time but also used a QR scanner to access clues. Each puzzle in the room was accompanied by a QR code that could be scanned when you wanted a clue for that puzzle. Once a clue has been accessed, you are restricted from requesting another one for 10 minutes. This not only puts the responsibility in your own hands but forces you to use clues tactically too. Strangely enough, we’re actually accustomed to exploring abandoned Asylums, although we’ve managed to not get lost in one before! Asylum had some great puzzles, and we were thankful that Escape Reality had not gone down the lock and key route, but like the most successful companies, had tried to theme the puzzles to the room and its story. We really enjoyed the room, and we escaped with just 30 seconds to spare. The clue system worked really well. We liked how it put control in the hands of the players. Sometimes escape rooms have offered us clues when we didn’t want one, or have left us struggling for too long. This system lets you choose when to ask for help, but also prevents you from abusing the system and ploughing through clues and puzzles without thinking. Playing with a team of four was about right for us. Most of the puzzles are linear, meaning solving one leads you to the next one. At most, you can be working on maybe two puzzles at once, so having too large a team could mean you’re standing around doing nothing. After escaping, we also got to try out the new VR experience. Using the wireless HTC Vive we got to experience a few different games. A dedicated games master accompanies you the whole time, so you don’t need to worry about knowing how to work the tech, and they can recommend games based on what you would most like to do. Using state of the art equipment the experience is excellent, and the variety of quick play games means a group of you can happily switch in and out of a number of games during your allotted time. We especially enjoyed Richie’s plank experience (great as a first look at what VR can do), Superhot (think Matrix-style moves) and Beat Saber (think music making Jedi). The experience works well for a group of up to four players, and at £34 for 60 minutes gameplay, it’s pretty reasonably priced if you split the cost. The VR experience helps Escape reality stand out from the crowd, but even without it, the escape rooms hold their own against the other companies in Manchester. We’d put them on a par with Escape Rooms, but if you have a larger team, you might find that there’s not enough to get stuck into for everyone to feel useful. Either way, it’s worth a visit for any avid escape room fan, and we’ll be back soon to see how some of the other rooms compare!